From video inspiration and free patterns to downloadable tutorials and ideas. Visit the hub for endless Valentine's Day inspiration! We've created a wonderful set of patterns to help personalise your creations this Valentine's Day! Or use them as a cute background for your phone or computer! 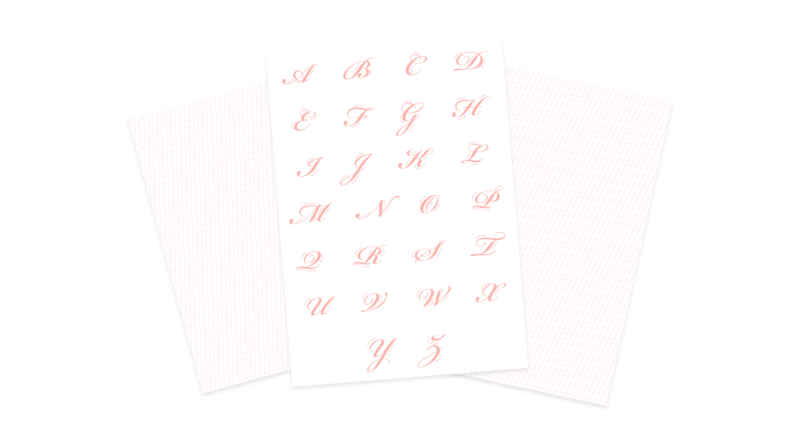 A calligraphy guide and grid for perfecting your messages! Enter your email address below to download our Valentine's Day Pack!